Food waste is a big topic of conversation these days. In this story, Susan Puckett, former Atlanta Journal-Constitution food editor, gets serious about food sustainability, adopting a no-waste food philosophy, and an upcoming Atlanta event in which top chefs challenge themselves to create dishes and drinks that leave nothing to be discarded. “Eat your dinner. Think of all the starving children in China,” my mom told my sisters and I, as the dreaded peas and carrots on our plates grew cold. Like countless other first-world parents, she hoped that age-old line (or some variation, depending on whatever poverty-stricken country was in the news) might instill some appreciation for the abundance we took for granted. Alas, those words went right over our heads. Our young minds could comprehend that it was good for our bodies to eat our veggies, and bad for our parents’ bank account to throw the leftovers into the garbage. What we didn’t get, though, was how the half-eaten dinners on our dining room table in Mississippi could possibly rob a hungry child on another continent of a meal. Lately, though, a harsh reality has begun to set in: We are a nation of squanderers. A staggering 30 to 40 percent of our food supply gets trashed. That amounts to more than 20 pounds per person, per month, and about $1,500 worth of food for a family of four per year. The energy required to produce and deliver this food no one eats leads to more waste — of fuel, water, land, agricultural chemicals, and labor — driving up global food costs, depleting natural resources, and generating greenhouse gases that warm the atmosphere, impacting weather conditions and affecting crop yields around the world. These days I find myself picking up tips for minimizing food waste in my own kitchen everywhere I go, especially in restaurant kitchens where my work as a food writer often takes me. Chefs are more attuned to food waste than most of us. Their bottom line depends on it, as Anthony Bourdain points out in Wasted: The Story of Food Waste, a new documentary showing in select theaters and On Demand that delves deep into the food waste crisis and solutions being implemented both inside and outside the kitchen. Sarah Koch cares deeply about this topic, and makes the case for why we should, too – not only for the sake of our own well-being but for hungry people around the world. 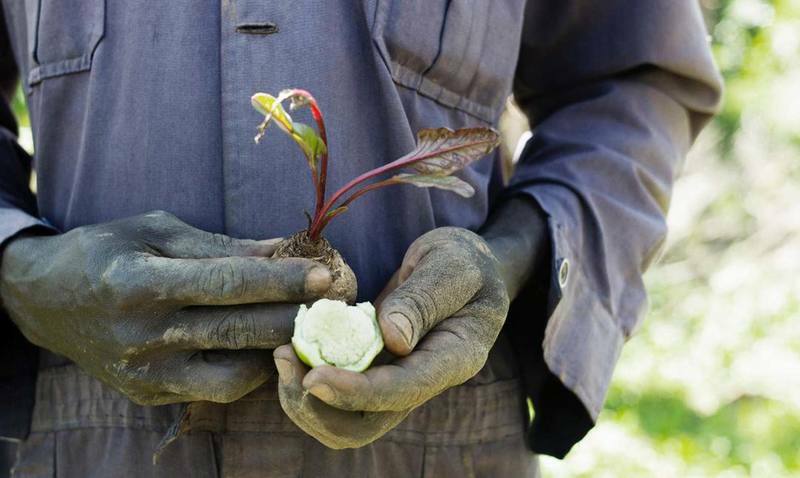 Koch is the co-founder and director of Development in Gardening (DIG), an Atlanta-based nonprofit that works with villagers in HIV-ravaged regions of Africa to improve their diets by growing healthier food and learning better ways to prepare it. A Birmingham native, Koch says she grew up in a family that always ate healthy meals together, and never went out for fast food. She rarely gave much thought to how her personal eating habits might impact someone else’s, though, until she joined the Peace Corps after graduating from the College of Charleston. Working as a rural health extension agent in rural communities in Senegal, she began each day as the villagers did, with a high-carb, low-nutrient breakfast of cornmeal rolled into tiny balls --“like Dippin’ Dots” -- that were sometimes dipped in a sugar syrup. Lunch and dinner typically consisted of white rice topped with peanut sauce, sometimes with beans in it. Pumpkin leaves and winter squash might show up on the plates if they were lucky. In 2005, she and another volunteer were given a small grant to plant nutrient-rich fruits and vegetables behind the infectious disease ward of Senegal West Africa’s National Hospital to feed its malnourished patients, all suffering from HIV/AIDS. After the first harvests, the patients’ health improved and community members became involved in sustaining the gardens. That success prompted the two to start an organization dedicated to helping other nutritionally deprived communities adopt more appropriate sustainable agricultural practices. Today there are DIG gardens in nine countries, and Koch travels to those villages regularly to meet with the local leaders who are working with her to keep these projects thriving. I learned about Koch’s work when a mutual friend introduced us four years ago. She and a small group of volunteers were planning a fundraiser, and they were hoping I could help them recruit some chefs who could not only provide a dish, but also help them tell a bigger story of how eliminating first-world food waste can make a difference in third-world countries. Inspired by DIG’s mission, I was happy to help, and I have been involved in planning this event ever since. 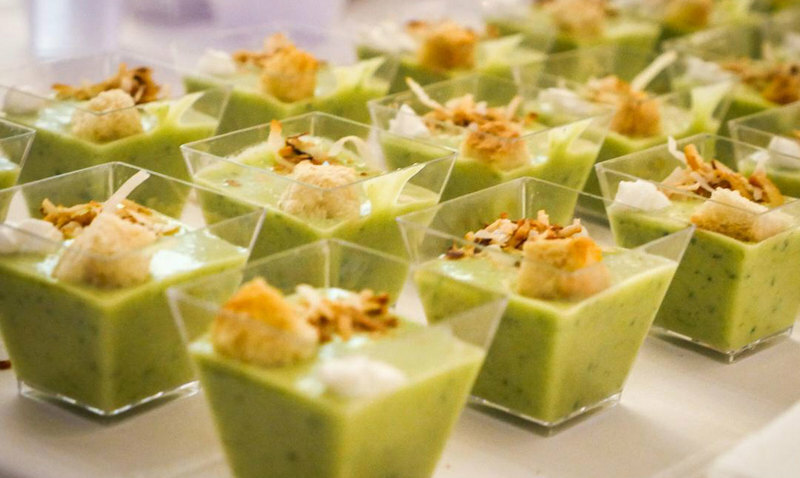 We call it Cocktails and Castoffs, and invite some of Atlanta’s most sustainable-minded chefs and mixologists to challenge themselves to create a dish or drink that produces little to no food waste. They’re also encouraged to incorporate items grown both locally and in Africa to further help show the commonality between the two worlds, like greens and peanuts. Each year has been a big success, with all proceeds going to support DIG’s work in Africa (it takes $5,000 to build one community garden). This year’s event will take place on Sunday, November 12, from 5 to 7 p.m. at Matchstic in The Jane building, with another all-star line-up of chefs and the celebrated mixologist, Tiffanie Barriere, who will kick off the event with a Toast to Zero Waste. Guests can also bid on raffle prizes that include cookware from Lodge and The Big Green Egg, restaurant gift cards, and more. Some of the past chefs – including Linton Hopkins of Restaurant Eugene and Suzanne Vizethann of Buttermilk Kitchen -- have contributed recipes to a booklet that will be sold during the event. Chefs have a lot to teach us about food waste. I was reminded of that constantly while collaborating with James Beard award winning chef Steven Satterfield of Atlanta’s Miller Union on his 2015 cookbook, Root To Leaf: A Southern Chef Cooks Through the Seasons. An outspoken supporter of local farmers, Satterfield believes in honoring their efforts by striving to transform every edible part of their harvest into something delicious. What doesn’t go into the soup pot or skillet goes into his compost bucket so it can be turned back into healthy Southern soil. 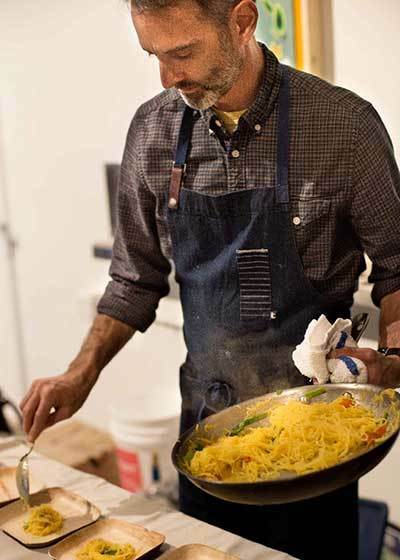 When invited to take part in Cocktails and Castoffs a couple of years ago, he obliged by serving a dish using both the seeds and strands from roasted spaghetti squash. Georgia Grown executive chef and cookbook author Jennifer Hill Booker (who will be emceeing this year’s event) took the challenge by roasting and pureeing the bulbs of beets into hummus, tossing the leaves in a salad, and juicing the stems into a refreshing crimson drink. Listening to the villagers and empowering them to come up with solutions to fit their own circumstances is a big part of DIG’s mission. Likewise, the DIG team hopes that, with help from our chef friends, we’ll think of those hungry children while we tackle food waste in our own kitchens. Susan Puckett is the former food editor of the Atlanta Journal-Constitution who writes and collaborates on cookbooks and contributes to various publications including Eating Well and The Local Palate. A Mississippi native, her book, Eat Drink Delta: A Hungry Traveler’s Journey Through the Soul of the South, was selected as one of Ten Books All Georgians Should Read in 2014 by the Georgia Center for the Book. She also collaborated with Daron “Farmer D” Joffe on his IACP award-winning Citizen Farmers: The Biodynamic Way to Grow Healthy Food, Build Thriving Communities, and with Atlanta chef Steven Satterfield on Root to Leaf: A Southern Chef Cooks Through the Seasons. Her next book, Turnip Greens and Tortillas: A Mexican Chef Spices Up the Southern Kitchen with Taqueria del Sol chef Eddie Hernandez, will be published in April. 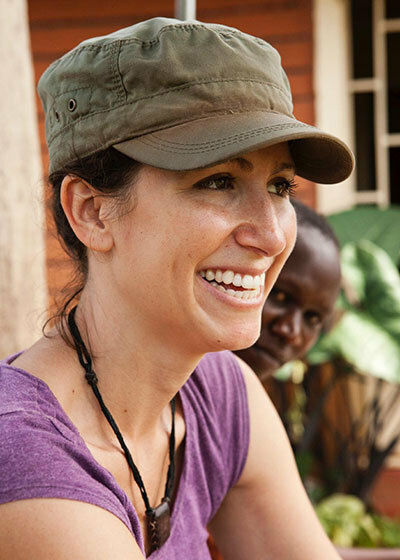 Susan is proud to serve on the advisory board for Development in Gardening (DIG), an Atlanta-based nonprofit dedicated to helping communities in Africa combat hunger and disease by developing sustainable gardens. She lives in downtown Decatur with her husband and greyhound. Follow her at Susanpuckett.com.